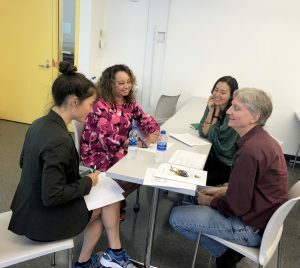 A John Jay tradition, Faculty Development Day is a day we set aside before the semester to share effective teaching practices, renew our commitment to our mission, find support for handling student challenges, and continue to enhance our work lives. 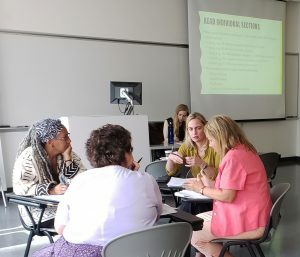 Faculty Development Days are opportunities to come together as a faculty community, discuss those things that affect our work lives, and share effective practices in teaching and scholarship. 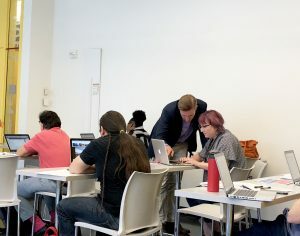 We invite faculty to share their pedagogical innovations with others especially with hybrid and online courses, engage colleagues in discussions about how we can continue to disrupt implicit and explicit biases on campus in our classrooms, and improve our academic programs using outcomes assessment. Our Spring 2019 Faculty Development was amazing! Many thanks to all who participated.